This simple, USDA Certified Organic green tea from Anhui Province is straightforward without anything extra. Just good, pure green tea taste. This tea is very disappointing. It has very little taste, and what taste there is, is flat and uninteresting. The only way to get any taste out of it is to brew it kung-fu. A really nice Chinese green tea. Light in body, vegetal, slightly sweet. Just what you want from a standard, straightforward green. I really like this green tea. It is never bitter and just has a really good taste. I brew it for 3 or 4 minutes. I totally agree with the description of "...straightforward without anything extra. Just good, pure green tea taste." It's fantastic for making iced tea. Pricing is excellent for the quality. 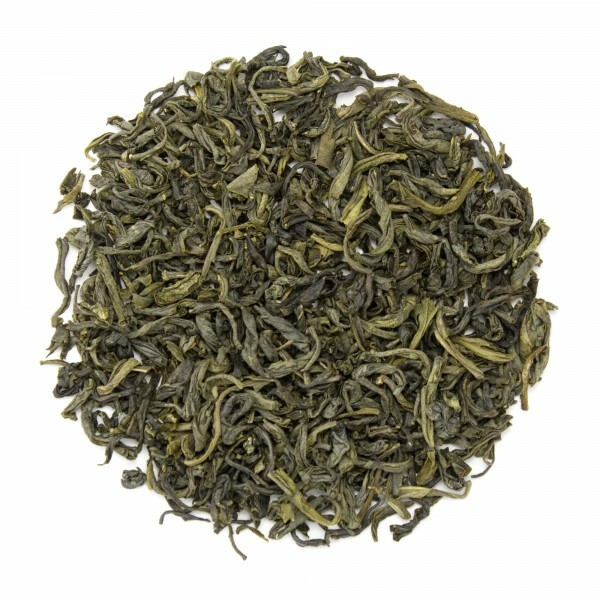 This green is potent with a great, lingering after-taste that is undeniably pleasant. Initially Guo Lu has a slight astringent flavor that fades into a soft, sweetness. Strong flavor - some after taste, really authentic. No extra flavors, just great green tea. A little too powerful for me. I decided to go with this tea because I like organic and I find it absolutely delicious. I will be ordering a much larger bag of this tea.